Journey mapping is used by everyone - from marketing to marriage counsellors. In this context, it’s a creative tool used to visualise students’ relationships with an RTO or training organisation. 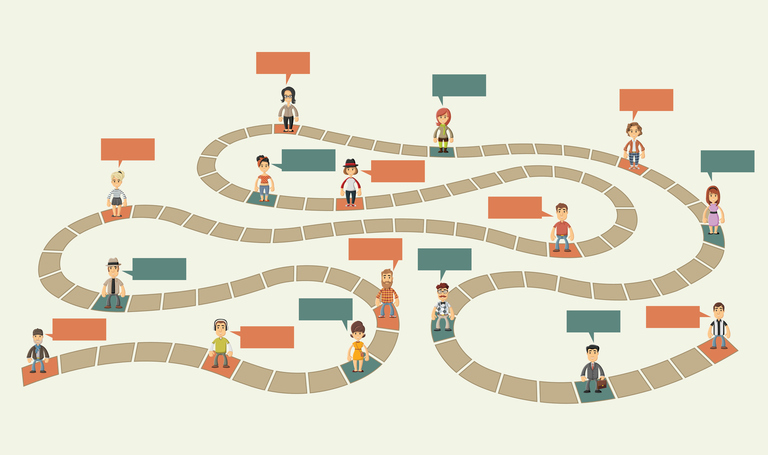 Capturing and understanding student voice using a journey map will enable you to view, from a holistic perspective, the complete life cycle of a student. The entire story is told from the perspective of the student; from initial contact and then throughout the process of engagement. A map represents the process that a prospective or current student goes through when interacting with a training organisation over a period of time. It provides an insight into the minds of your students’ - their needs, motivations, decision-making processes and pain points. This information is used to identify touchpoints (specific stages of a learner’s experience) and pain points (problems or difficulties the student encounters). And as a side benefit - it’ll boost your RTO’s compliance at audit time. ASQA’s push for the VET industry to become more student-focused is a good reason for RTOs and vocational training organisations to give journey mapping a go. Let’s be honest, nobody in VET looks forward to an audit! Fortunately, the ASQA audit is entirely student-centered. In fact, the audit structure actually forms an ideal template for RTO student mapping. The ASQA model essentially tracks the student experience through five stages against quality standard benchmarks (see 5 key phases of the student journey below). Mapping the student journey actually provides an internal audit of your organisation's practices and behaviours by the most important stakeholders - students! Student experiences are constantly evolving in response to changes in micro and macro environments such as changes in technology, industry standards, access to student loans and unemployment rates. Regular student journey mapping enables training organisations to keep attuned to students’ perspectives and quickly respond to gaps or opportunities in service delivery. By leveraging ASQA’s five stages of the student journey as a model, you can design student journey maps using the same benchmarks that your RTO will be audited on - did someone say have your cake and eat it too? A student’s journey can be mapped in any way that suits the RTO or training organisation. It doesn’t need to be a linear timeline and can be as simple or detailed as required. Try creative visuals to help show the movement of a student through various touch-points and channels in time, mapping how they feel about different interactions on that journey. Check out the Australian Governments digital guide to journey mapping and some fab examples here. So, you’ve conquered the journey map - now what? Analysing and sharing the results of your students’ journey map with your team is the most important stage of the exercise. Journey mapping will expose things that people do not want to see or hear. Be careful not to permit excuses or blame to distract attention from identifying gaps in delivering awesome student experiences! Student journey mapping is supposed to reveal where student needs are being unmet so that a more responsive student experience can be developed. Using automated student engagement and student satisfaction surveys is a wonderful way to expand the reach and implement quality standards in student journey mapping. Some of the more comprehensive SMS software will include a survey feature that enables you to design standalone and course-related evaluations with instant graph results and automated survey emails. Of course, there is nothing like meeting students’ personally as a part of your student engagement efforts. Check out these cool mapping tools to get you started! An online tool to create professional journey maps, personas and stakeholder maps. A complete guide to creating value through journeys, blueprints, and diagrams. An intuitive mind mapping solution that inspires creativity and stimulates brainstorming. Student satisfaction is a necessity for RTOs. Student journey mapping is a popular and simple method of obtaining an accurate depiction of your students’ experience. Mapping your students’ journey to enrolment will provide valuable insights into what is attracting potential and current students as well as what is pushing them away. Let the creative juices flow!